Amsterdam combines the unparalleled beauty of the 17th-century Golden Age city centre with an array of world-class museums and art, not to mention a remarkably relaxed atmosphere. It’s a small metropolis, that packs the cultural wallop of major world destination. If you’re looking for a laid-back city break – with sun-dappled canals, high culture and a vivid night life, look no further than Amsterdam. Spend your first day in the ‘City of Canals’ getting to know the lay of the land and immersing yourself in the culture. For those with an interest in classic Dutch art, visit the Rijksmuseum, which is home to Rembrandt’s masterpiece The Night Watch. Just across the square, art lovers can relish in the smaller, more modern, Van Gogh museum. Weather permitting you can enjoy a traditional Dutch lunch comprising of croquettes, cheese and bread at one of Amsterdam’s many spacious parks; Vondelpark, Oosterpark, or Westerpark. 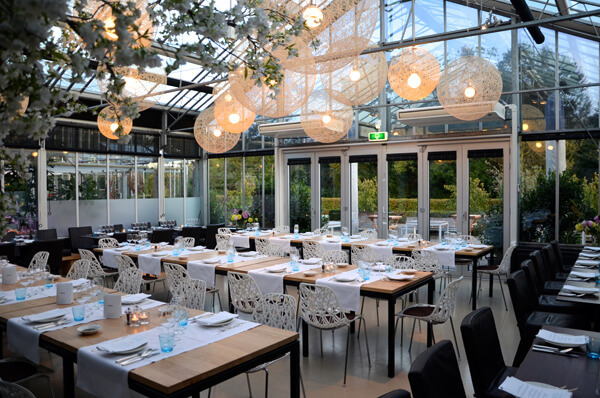 If it’s too chilly, have lunch at the amazing Restaurant De Kas. Amsterdam is known for having more bicycles than people. After lunch rent a bicycle and start exploring like a local. Discover many of the cities treasures that rest in the details: the tiny alleyways, hidden garden courtyards, floating houseboats, and gabled roofs. Meander through Jordaan; a typical Amsterdam neighbourhood bursting with cosy cafes, the Nine Streets shopping district and the Noordemarkt. Take a break with a cold beer at Brouwerij ‘t IJ, a brewery known for delicious organic beer brewed at the foot of a windmill. Treat yourself in the evening with the best cuisine the city has to offer. Indulge with a seven-course tasting menu at Michelin star rated Restaurant Vermeer. The restaurant reflects its namesake – famed old master of the Dutch Golden Age, Johannes Vermeer – who, much like the restaurant, is known for skill and precision in his craft. After breakfast and a good dose of caffeine at one city’s best coffee shops, the Melqvist Kaffeba, take time to pay tribute to Amsterdam’s most well-known former resident, Anne Frank. The Anne Frank House, where she lived in hiding for more than two years during World War II, has been converted into a museum. It contains a sobering exhibition about the persecution of the Jews, and the memoirs of this stoic young women. Dare to discover what lies beneath as you drift through the city’s enchanting canals on a luxury gondola cruise. It’s the perfect way to relax and reflect on day’s sightseeing. For those more adventurous, explore what’s hiding behind Amsterdam’s risqué façade. Paint the town red with a night out at one of Amsterdam’s famous bars or clubs.